You all know how I love my blue manis on a Monday... let's start InDecisive Lacquer week out with some blue! The polish I have for you today is a beautiful blue polish... and Aleksandra, the owner and mastermind behind InDecisive Lacquer, made it just for me! =P But don't worry, if you love it as much as I do, she takes custom orders! She named it Blue Sugar, and it's a gorgeous blue with teeny tiny holo glitters in it. LOVE IT! 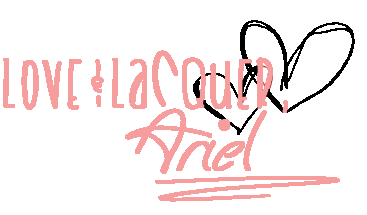 Check out InDecisive Lacquer on Etsy, and follow on Facebook for more beautiful creations! 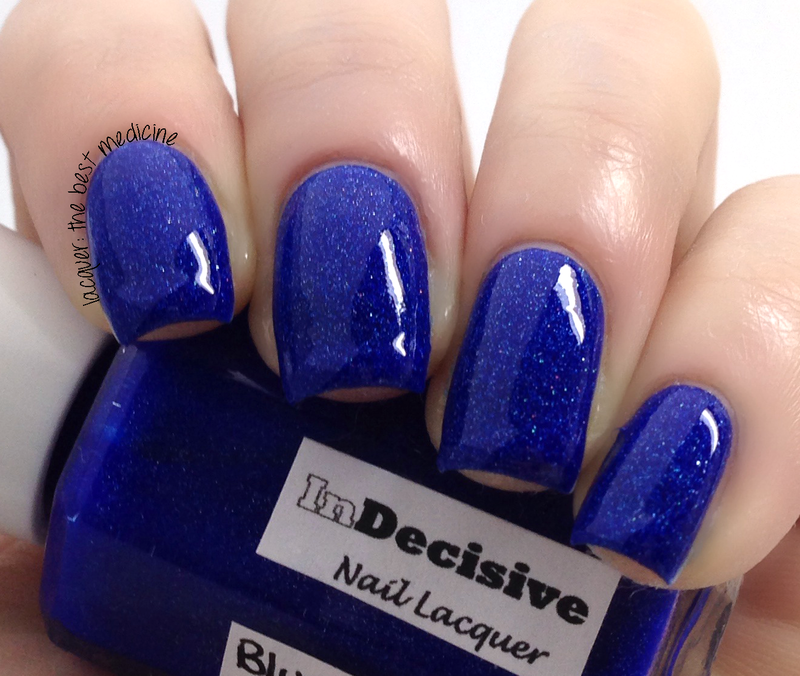 See you tomorrow with some more beautiful polish from InDecisive Lacquer! This is such a nice colour! This polish is gorgeous!! I love the shimmer in it. Such a beautiful blue shade! Love it!